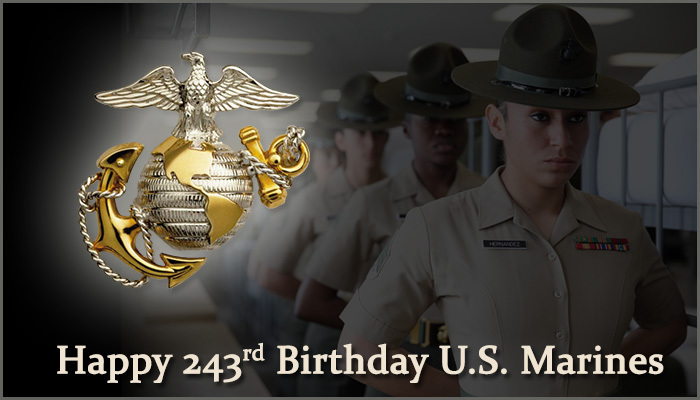 Celebrating 243 years of Marine Corps heritage: Happy Birthday Marines! This entry was posted in News and tagged United States Marines by nwvuwebmaster. Bookmark the permalink.